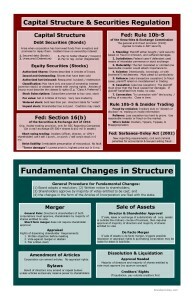 This is a cheat sheet with the rules for Corporations, including organization and formation, operation and management, capital structure and securities regulation, and fundamental changes in structure. 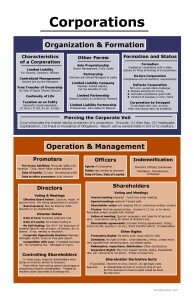 They are meant to be printed out on two 11 x 17″ sheets of paper. 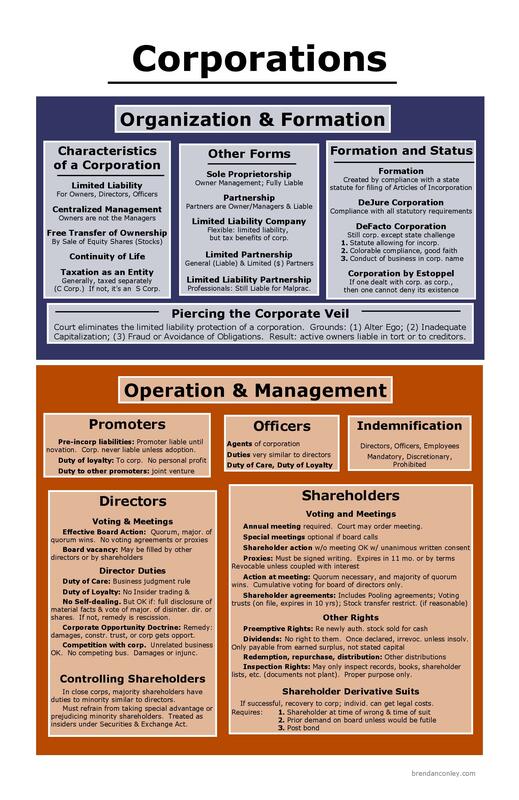 The first chart shows issues of organization and formation, including the characteristics of a corporation, business structures other than corporations, issues involved with forming a corporation and its status, and piercing the corporate veil. 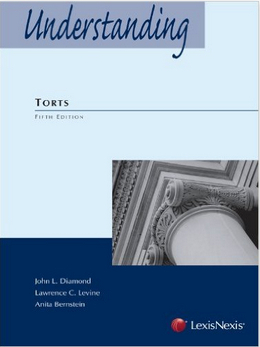 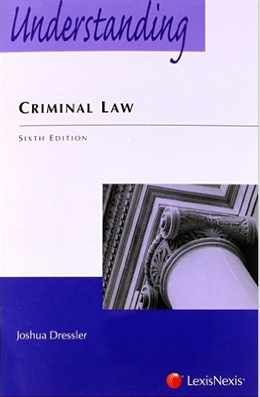 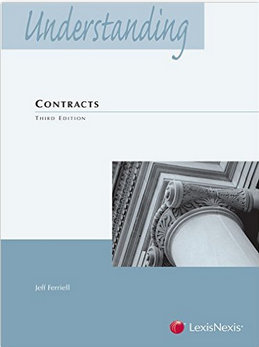 This section also lists the elements of operation and management of corporations, including promoters, directors, officers, shareholders, and indemnification. 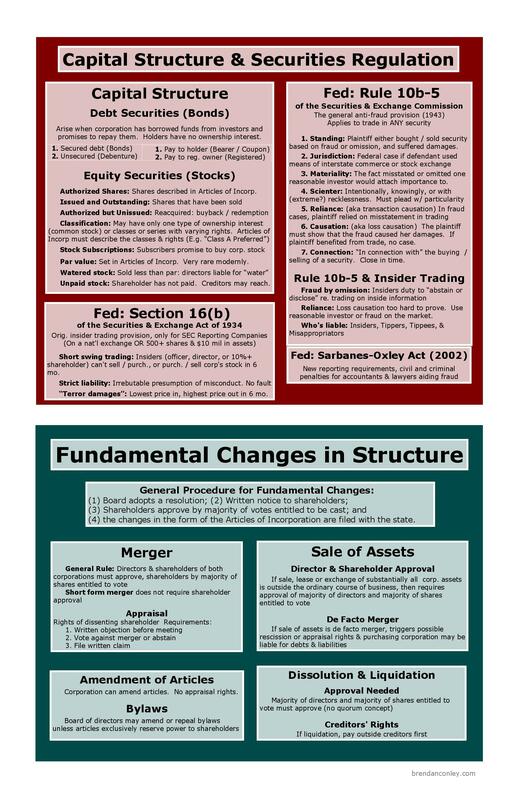 The second chart lists issues involved with capital structure and securities regulation, such as Section 16(b) of the Securities & Exchange Act, Rule 10b-5 of the Securities & Exchange Commission, insider trading, and the Sarbanes-Oxley Act. 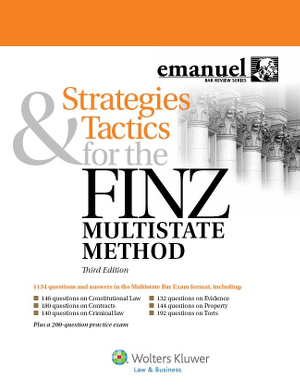 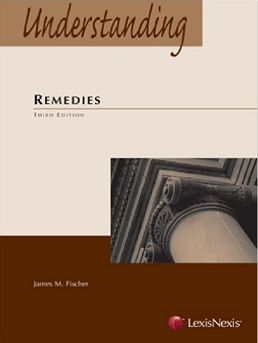 This section also lists rules for fundamental changes in structure, including merger, sale of assets, amendment of articles, dissolution, and liquidation.